$545. Vintage antique carved wood painted center table with glass top, c. 1950. 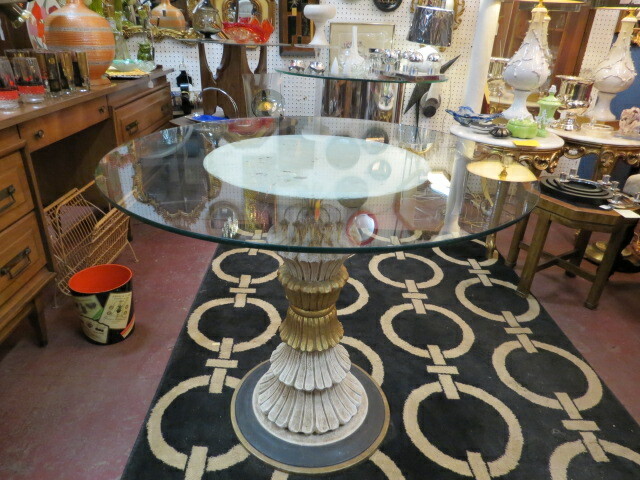 Round pedestal base with carved layers in cream, black and gold. Round glass top is .5 in thick. Perfect for your living room or dining room. Very good condition. 36in wide, 29in tall.